A solo performing clown or Clown Troupe will bring a real sense of theatre to any child's party. Your chosen clown may be able to perform for up to two hours and be able to meet and greet guests, and run the tea party too if you choose! Their performance will usually include puppets, costumes and props, interactive games with the children, and lots of family focussed fun and jokes. A clown show is energetic, invariably noisy, and full of surprises - children are captivated by the zany antics and dramatic outsized outfits and respond well to the sense of crazy fun. Clown Entertainers have carefully thought out routines - so you can leave them to get on with the show, knowing that the children will have a great time in safe hands. If you are considering hiring a Clown or Kids Magician, take a look at reviews and check out the backgrounds of performers - when you find a Clown that suits your style , contact them directly to secure you booking. And bingo! Party perfection is yours! Find a Clown for hire near you in minutes! Option 1. Enter your event location below & contact a Clown directly! Option 2. Request multiple quotes from available Clowns Get Quotes! Option 3. Read information & advice on hiring Clowns Read Advice! WANT TO KNOW MORE ABOUT Clowns? Read on for the most comprehensive guide to booking a Clown, including how much a Clown costs, exactly what they will do at your event, plus tips, advice and information to help make your event one to remember! A Clown will provide a varied and professional children’s entertainment show that can include anything from tiny tricycles, balloons, juggling, face-painting and the all important water squirting flower! Basically everything a young child will find fun! What exactly will a Clown do at your event? 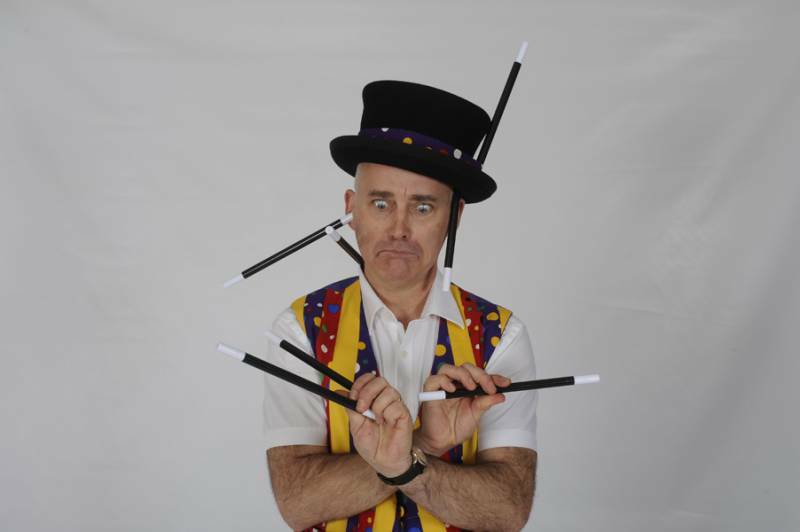 A contemporary and professional Clown will offer a tried and tested, all-round entertainment extravaganza that will include child-friendly jokes, dancing, birthday games, wacky and slapstick humour, sleight of hand magic and general hilarity! A hired Clown will promise to captivate children by entertaining them with a certain brand of jovial chaos that only a Clown can provide! When you book a Clown, as well as a traditional Clown show, you may also get amazing extras such as work-shops, balloon modelling, beading, crafts and much more! Mainly, a Clown will entertain your audience with a fantastic live show that will put the wow factor into celebrations and impress your guests, whatever their entertainment tastes may be. What event types are CLOWNS hired for? Hire a Clown for a children’s birthday party and the children will really be delighted and entertained by all the carefully planned chaos! 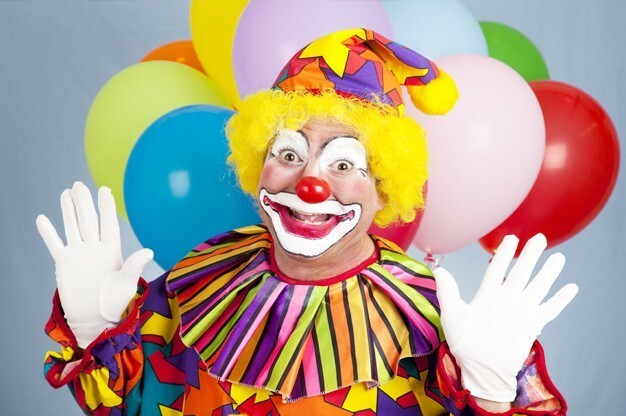 From the big red nose, to the wacky make-up and the circus themed clothes, a clown will ensue that the birthday boy or girl will have a great, fun filled birthday that they will always remember fondly! The hired Clown will prepare a show full of favourite birthday games that may include pass the parcel, musical statues and water-pistol games! When you book a Clown for a kids birthday, it’s important to know that they can suit any birthday situation. Whether the Clown is the main feature of a birthday, or whether you would prefer them to be used as side entertainment to entertain children when they are not on the bouncy castle! A professional Clown can always be counted on to bring the funny! Children love a mess! And with a Clown, there could be some mess involved! Some Clowns will come as part of a Clown duo. You may want to hire a Clown duo if you are looking for brilliantly constructed slap-stick, all done in a Laurel and Hardy kind of fashion! With a Clown duo, the children will be treated to double the amount of jokes and maybe even the odd pie being thrown at the clowns face! Maybe you want to really push the boat out and hire a few Clowns?! The more Clowns involved, the crazier the entertainment will be! You may be looking to hire a Clown for a Christmas party or New Years Even party? A hired Clown will prove to be well worth the money as they entertain children and adults alike with endless reams of coloured hankies, foghorns and stilt walking! A hired Clown will perform a mix of comedy, illusions, magic and tomfoolery! We would advise to hire a professional party Clown for children aged between 2 and 8 especially. All of the professional Clowns will have been through checks by the relevant authorities and just as a warning, a lot of them will throw custard about! 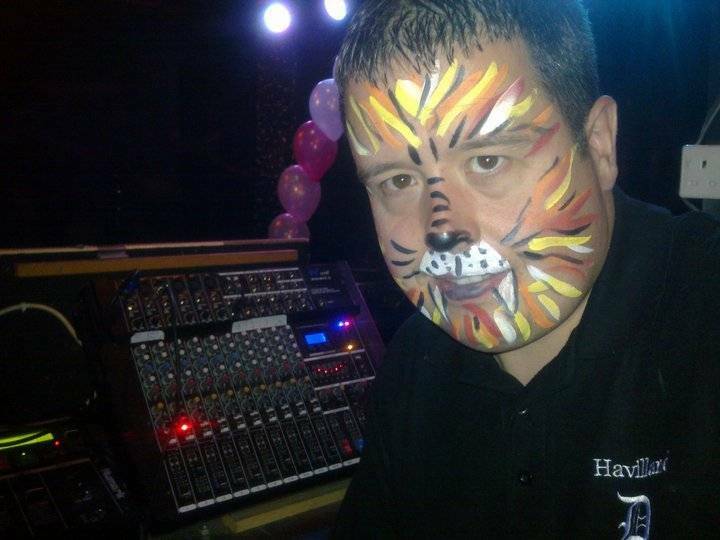 You may be thinking of hiring a Clown as the children’s entertainment for the drinks reception at a wedding? When the newlyweds are greeting guests and having wedding photo’s taken, a Clown could be the perfect antidote to your young child’s boredom! A Clown can work indoors or outdoors (weather depending) And they can keep the kids attention whilst the adults are enjoying other aspects of the wedding reception! The wedding evening reception may be an ideal time to hire a Clown! Maybe a wedding band or wedding DJ’s are playing music for the adults to dance to, but a Clown could be running around the evening reception area taking care of the kids entertainment! Are you looking to hire a Clown for a corporate event? Maybe you are organising a trade show aimed at a youth target audience? Or it could be that you are looking to hire a Clown to draw in the crowds at a children’s product launch? A Clown would be a fabulous addition to most promotional events, school assembly’s and after school clubs! A colourful Clown is a really effective way to grab attention! How much do clowns cost to hire? Our simple to use entertainment directory allows you to firstly search for the best Clowns who are local (or travel to your area) and then via the contact form you may contact them directly to enquire for a no obligation quote to perform at your event. Some acts will also add a rough price guide to their profile for your convenience. What are the usual set formats and performance lengths for clowns? A Clown can tailor their performance times to suit you and your event, however, on average, a professional Clown will perform for 60-90 minutes. How much space will a clown need at your event? A Clown can take up a whole stage or they can perform a slimmed down show via table-magic entertainment where they can go from table to table, entertaining the children at your event. Whatever you are looking for, please contact the chosen Clown via the messaging service on the Clowns profile. What equipment and set up requirements do clowns need? As with most artists who sign who up on Entertainersworldwide.com, a Clown will provide most of their own equipment. This may include: Puppets, circus props, juggling clubs, face-paints and unicycles. You may want to enquire if the Clown needs a PA to amplify their voice/music, in which case we would advise to use our easy to use messaging service to find out. We do ask that each performer gets a backstage area in which they can prepare for the performance ahead. If your venue does not have a backstage area, then we kindly ask that you enquire with the venue to seek an alternative space in which the performer can comfortably get ready to entertain. How can you find and book a clown with Entertainersworldwide.com? WANT TO RECEIVE A RANGE OF QUOTES FROM Clowns?